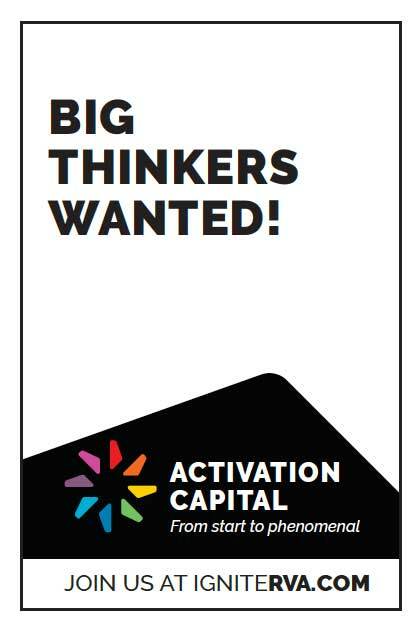 The Activation Capital is a unified support network, or ecosystem, for innovation in the Greater Richmond area. 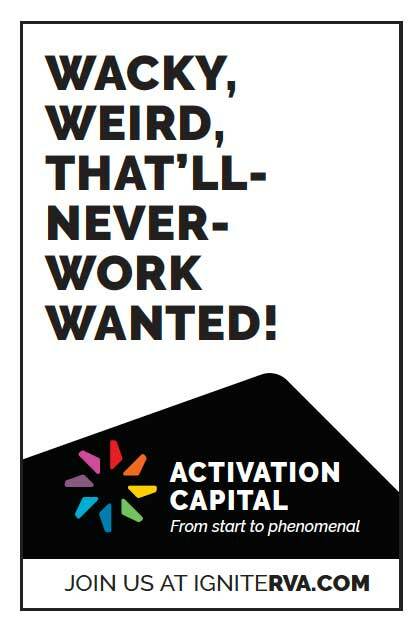 Funded by the Virginia Bio+Tech Park and Virginia Commonwealth University, the Activation Capital exists to provide entrepreneurs with access to funding sources, mentoring and business knowledge to turn their innovative ideas into successful businesses. The Activation Council believed that Central Virginia’s current entrepreneurial ecosystem was fragmented and that opportunities existed to better support the region’s entrepreneurs and attract outside investors to startups in the Richmond area. Dotted Line Collaborations was charged with conducting an extensive research effort comprising one-on-one interviews, competitor research, focus groups and a digital survey submitted to thousands of stakeholders to better understand the existing climate and barriers to successfully providing entrepreneurship resources in Central Virginia. 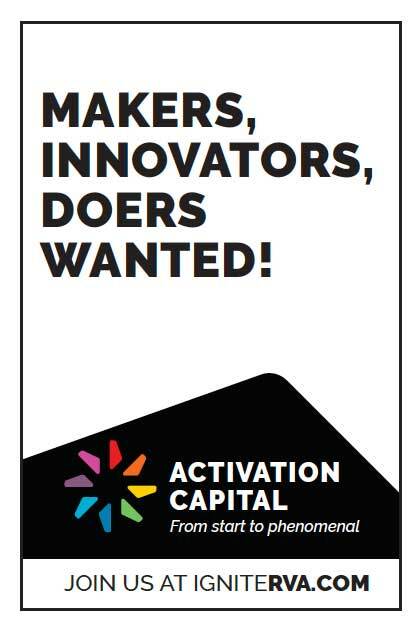 Creating awareness of the Activation Capital in the Greater Richmond business community and encouraging participation in the effort to work collaboratively to build a successful ecosystem that attracts players across the region and beyond. 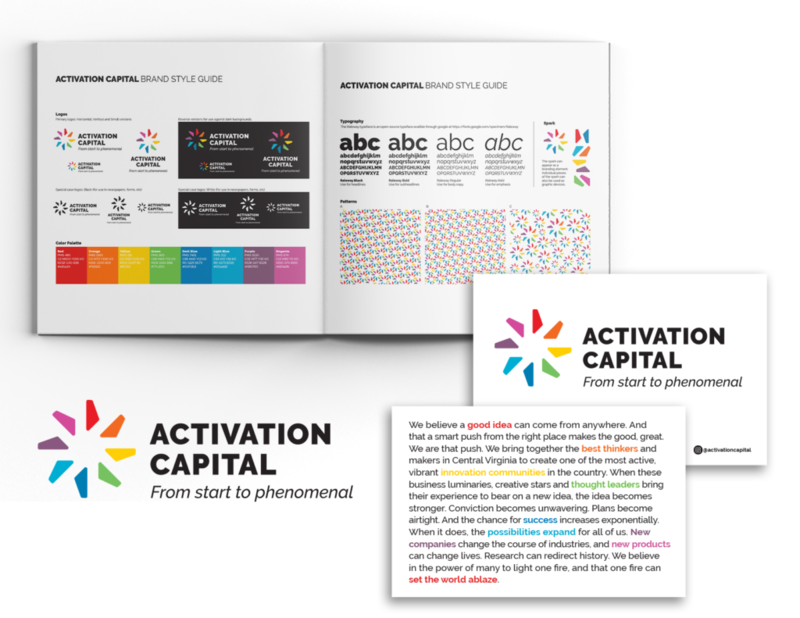 Launching the Activation Capital brand with key players inside the ecosystem and making the Activation Capital’s role and vision clear so that it would generate excitement and trust. 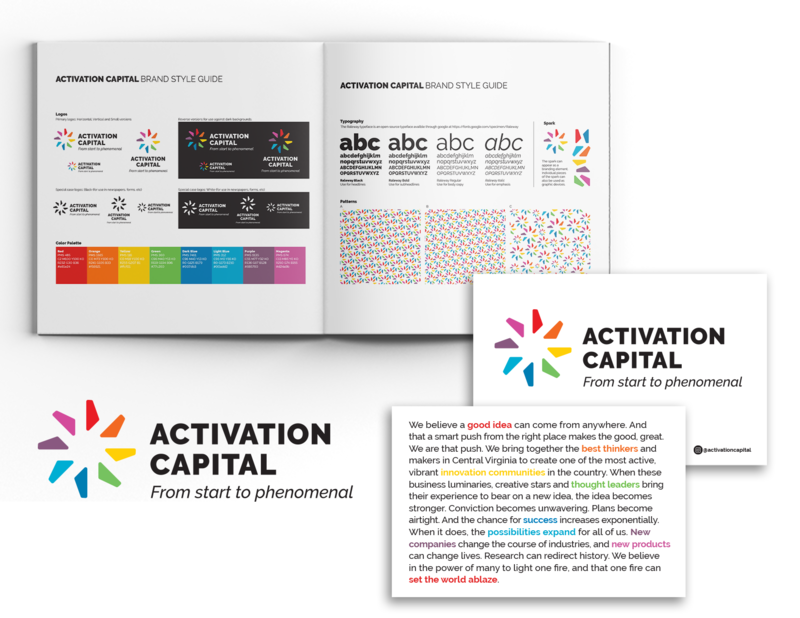 Creating a network of unified ambassadors through communications, such as integrating the Activation Capital’s brand identity into its website and promotional materials. With the input we gained from our research, we developed a brand strategy and platform for Activation Capital and worked to build consensus on solutions from all impacted parties. The platform was designed to engage all stakeholders in the region’s entrepreneurial ecosystem in a better, more collaborative way. The strategy also focuses on increasing awareness about the resources available to outside investors and startups in our region. The brand platform included a brand identity system, including a name, logo and style guide. Dotted Line Collaborations also provided concepts for website design, collateral and campaign assets to bring the brand to life. 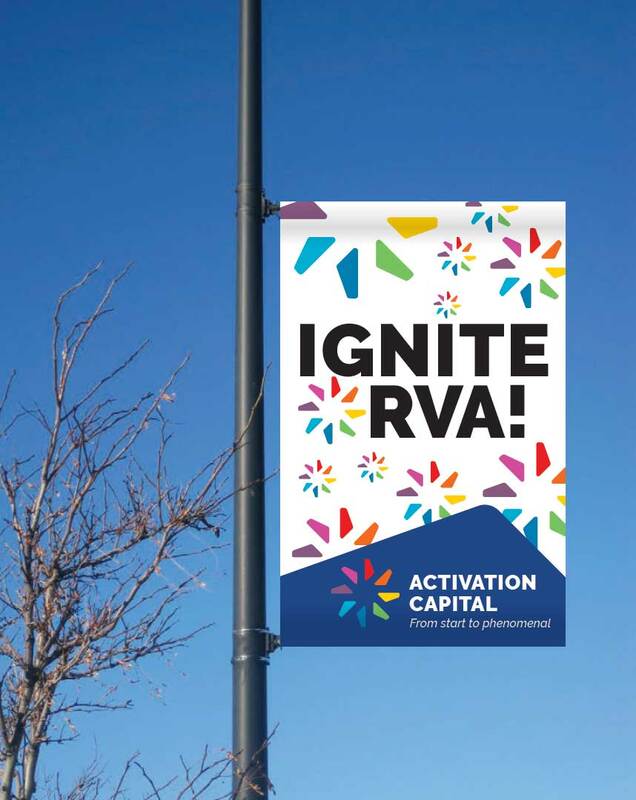 Because of the Activation Capital’s unique identity – it’s not so much one program or institution as a network of parties with a similar goal – our creative process included working with Virginia Bio+Tech Park, the Authority Board and the Activation Council to ensure each group’s role in the new brand was accurately represented. The assessment and campaign succeeded in bringing together thousands of entrepreneurs and innovators in the Richmond region and setting them up for limitless mutual success.